Physical exam and history: An exam of the body to check general signs of health, including checking for signs of disease, such as lumps or anything else that seems unusual. A history of the patient’s health habits and past illnesses and treatments will also be taken. The doctor will ask if there is a family history of retinoblastoma. Fluorescein angiography: A procedure to look at blood vessels and the flow of blood inside the eye. An orange fluorescent dye called fluorescein is injected into a blood vessel in the arm and goes into the bloodstream. 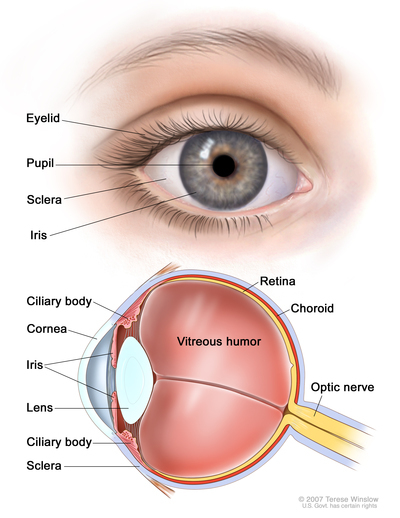 As the dye travels through blood vessels of the eye, a special camera takes pictures of the retina and choroid to find any blood vessels that are blocked or leaking.